From individual practitioner applicants to departments and sites spanning healthcare systems, today’s MSPs do business with a variety of credentialing stakeholders, all bearing distinctive perspectives and expectations. Excellent customer service goes with the territory, but do MSPs really think of it as a key initiative with tangible implications for their organization’s workflows and financial health? In this on-demand webinar, expert speaker Leslie J. Cox, BS, MHA, CPMSM, CPCS, will share the Banner Health Credentials Verification Office’s (CVO) experience-based, practical strategies for making connections with wide-ranging medical staff services and CVO customers—and for harnessing these efforts in far-reaching organizational improvements. By recognizing the business potential in customer-minded credentialing, the Phoenix-based CVO has rolled out process improvements across its expansive and varied customer base, which encompasses 28 system hospitals in six states and more than 8,000 privileged practitioners. The CVO team’s recent accomplishments include streamlining credentialing forms and procedures, simplifying the application process for affiliated physician practices, introducing a common data collection tool to modernize practitioner onboarding across the system, and transitioning two CVO staff members into brand-new customer service roles. To realize these outcomes, the CVO team conducted strategic outreach, leading more than 50 on-site and Skype-based customer meetings in one year to build relationships, provide service information, and forge productive change. Webinar attendees will gain actionable insight and customizable tools for making similar strides in their organization. Nonprofit Banner Health is headquartered in Phoenix, Arizona, and operates 28 hospitals, including three academic medical centers and other related health entities and services in six states. Banner Health has rapidly evolved from a health system of hospitals to a fully integrated system that includes significantly expanded services through Banner Health Network, Banner Medical Group and, since 2015, Banner–University Medicine. With more than 400,000 members currently served by the Banner Health's provider networks, Banner has demonstrated the ability to effectively manage the health and wellness of populations of insured members in both government and private plans. Leslie Cox is senior director of Banner Health’s CVO. Previously, she was director of medical staff services at Banner Estrella Medical Center in Phoenix. 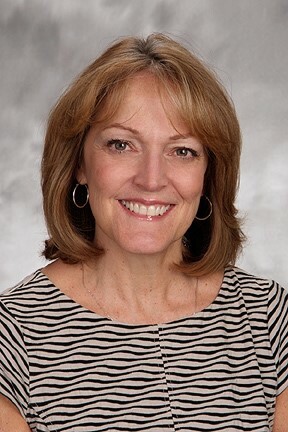 With over 30 years of experience in the field, Cox has a master’s degree in health administration, a Bachelor of Science degree in business administration, and dual certification in professional medical services management (CPMSM, CPCS). She enjoys leading process improvement teams, with a focus on customer service, creating efficiency, and facilitating collaboration among various teams and constituents. She is a member of the Credentialing Resource Center’s News, Analysis, and Education Board and co-leads a Health System CVO Leadership Forum in collaboration with Morrisey, A HealthStream Company.